The events listed below are a combination of EAOP and EAOP partner events. If you have questions about the EAOP partner events please contact them directly as they will be better able to assist you. To register or get more information, please contact the respective programs. Hello Students! We are excited to be hosting the Empowerment Conference for English Learners Join us for a fun day to explore topics on why and how to go to college. There will be a financial aid workshop to learn about how to pay for college. Additionally, there will be a panel of students that will share their experience navigating college as English Learners. Breakfast and lunch will be provided during the course of the conference. We hope you can join us! 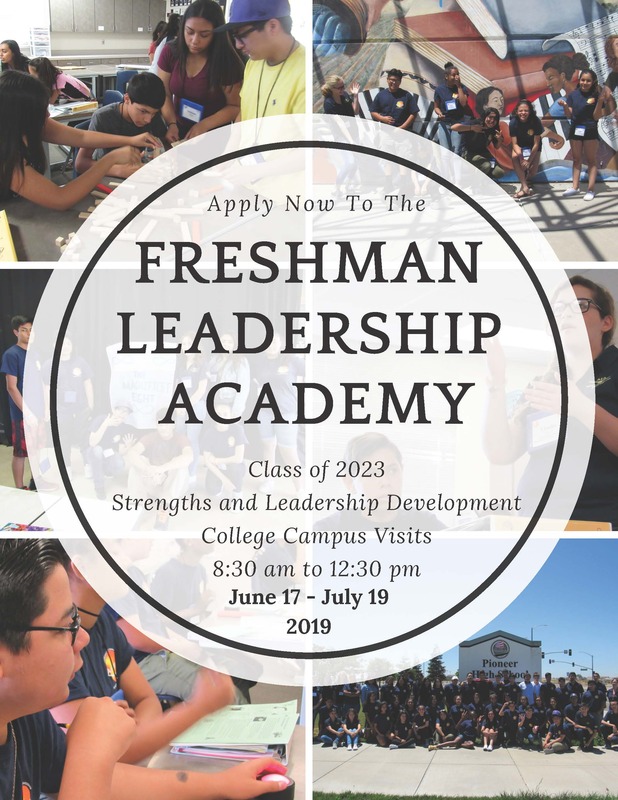 The Freshman Leadership Academy (FLA) is design to help students from 8th grade transition into high school by acquiring information about college and leadership skills that will help them throughout their high school years. Participants will be working with ASSESTS/EAOP Staff and current high school students to guide them through the academy. FLA is for students from Douglass Middle School and Lee Middle School transitioning into Pioneer High School or Woodland High School next school year. The academy will take place at Pioneer High School from June 17-July 19. Students will be expected to attend Monday-Friday from 8:30am-12:30pm. There will also be field trips to different college campuses during the academy. For more information please download the academy application or contact Monica Peña-Villegas at mapenavillegas@ucdavis.edu or call (530) 752-9227. If you are an 8th grade interested in the academy, please click here to download the participant application. Application can be submitted to the student’s school counselor. If you are a current high school student from Pioneer or Woodland High School and would like to volunteer, please click here to download the volunteer application. Applications can be submitted at the POP Room at Pioneer High School or at La Semilla at Woodland High School.